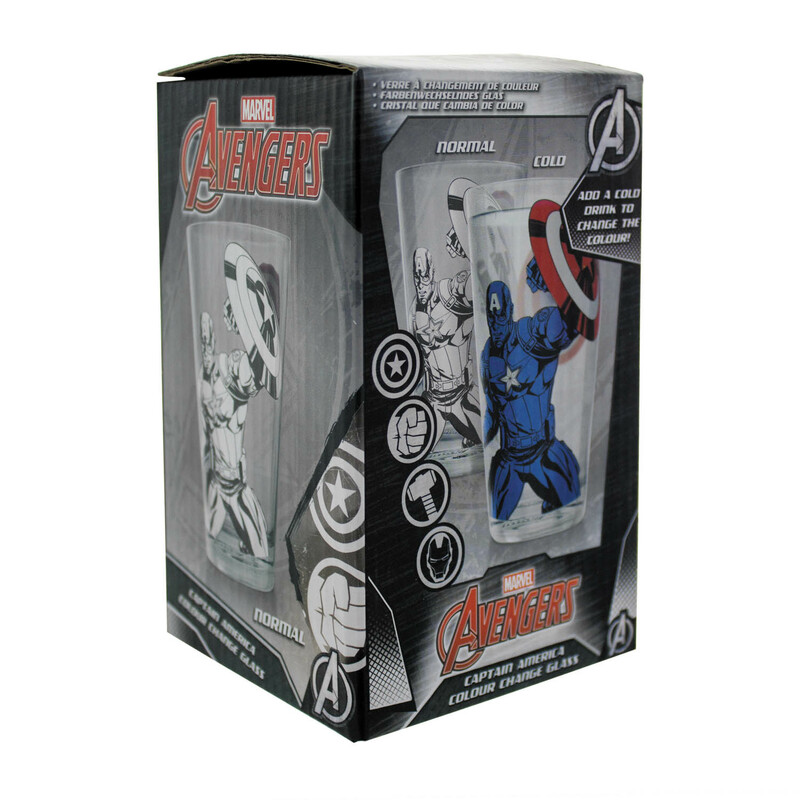 Featuring iconic Marvel hero Captain America, this Marvel themed glass changes colour whenever a cold drink is added. 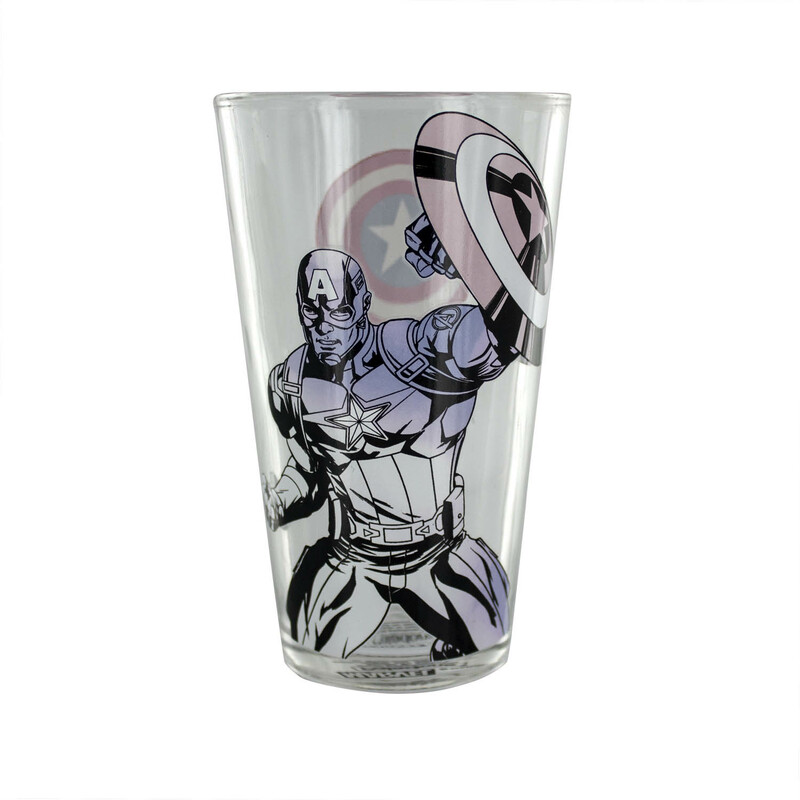 At room temperature, the legendary hero Captain America appears sketched in black and white, but when a cool drink is poured into the glass, watch as America’s finest transforms into his more familiar red white and blue. 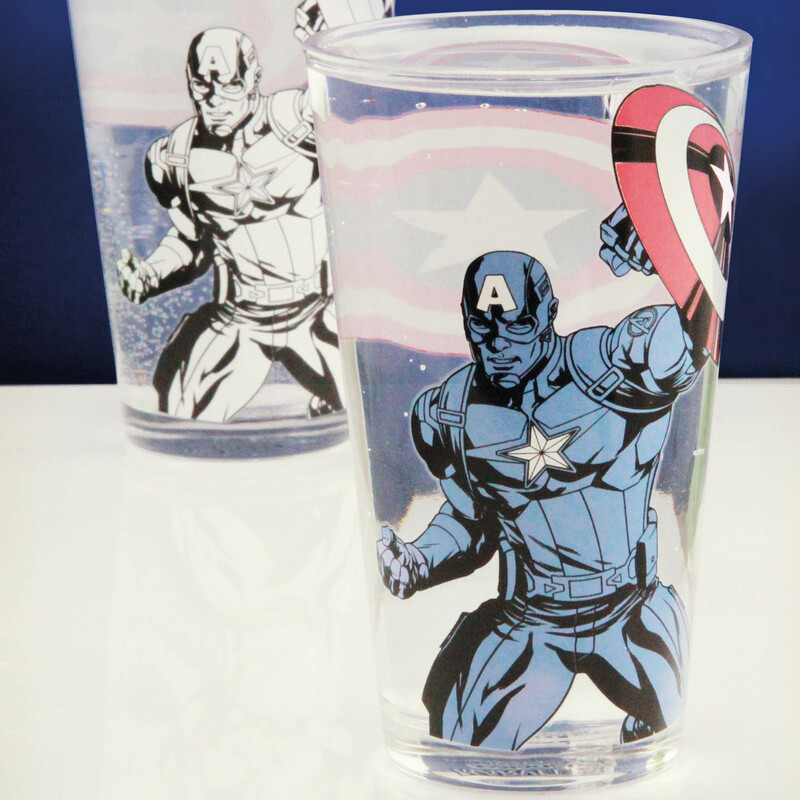 The Captain America Colour Change Glass is not suitable for microwave or dishwasher use. 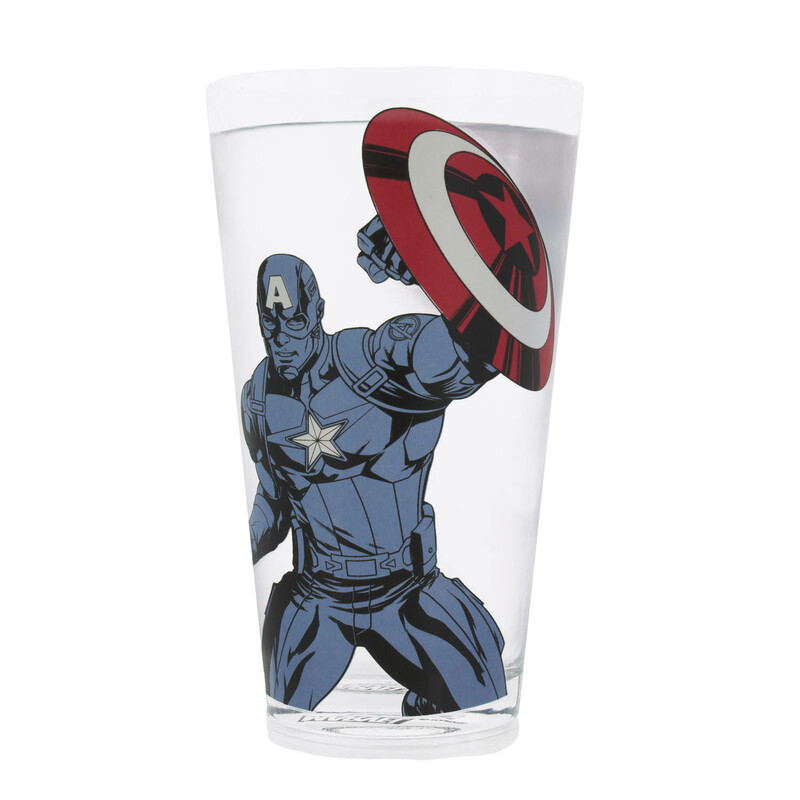 Fill up with red white and blue thanks to this fantastic Marvel colour change glass.